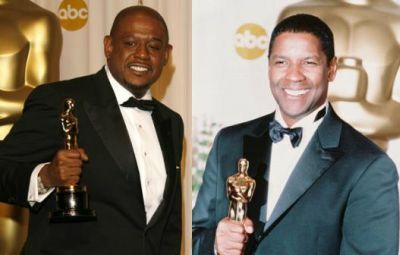 The stars of "The Great Debaters" Forest Whitaker and Denzel Washington. Following the publication of Facts on File’s Encyclopedia of the Harlem Renaissance by Sandra L. West, with a foreword by Clement Alexander Price, in 2003, a number of dialogues got underway about the famous 1920s to 1940s cultural movement. These dialogues have taken the forms of new books, movies, articles, interviews, stage productions, biographies and other works. All of them have helped to increase focus on and expand awareness of the Harlem Renaissance both in and outside of classrooms. This special Black History Month Series spotlights actual dialogues as well as reviews, blogs, and various works associated with the era that many identify with the “roaring twenties” Jazz Age, the Great Migration of African Americans out of the South into the then more industrialized North, and early twentieth century Modernism. The first installment of the series is a conversation with Jim Morekis the highly-regarded editor of Connect Savannah and the author of several travel guides on the American Southeast. Much gratitude is expressed to editors and publications for permission to post in this series items previously published. Connect Savannah: How did you get involved [as a co-author] with this project? Aberjhani: There was a national search. Sandra L. West, the publisher and the agent in New York were looking for someone qualified. Sandra called me and said, “I know you love the Harlem Renaissance. Here’s a project you can sink your teeth into.” I told her I probably wasn’t qualified. She said, “From what I know from your background you are.” Finally, something hit me on the head. I said to myself, ‘You’re always saying you want to break into the mainstream as a writer. Here’s opportunity slapping you in the face and now you’re slapping it back!’ (laughs). So I decided I should at least make the attempt. Apparently this is the first encyclopedia ever written about it. Already, different publications are taking note of that. You could say this is an historical event, so yes, I’m a little bit proud of it. Connect Savannah: You’re known chiefly as a poet and writer of fiction. What prepared you for the research and analysis necessary for this quite different project? Aberjhani: I was a journalist in the U.S. Air Force. I worked at Air Force bases in England and in Alaska. I edited roughly 99 percent of the material coming out of those bases. I say 99 percent because you don’t edit the base commander’s stuff (laughs). As a military journalist, I had to basically coordinate different kinds of information. I wrote history, biographies, and news stories tailored to a captive military audience. Connect Savannah: Some in my business would say that “military journalist” is a contradiction in terms. Aberjhani: (laughs) I assure you it’s not. I won a Thomas Jefferson Award for a piece that actually was a criticism of where the military was putting bases and how it affected children. I interviewed children that felt generally estranged from society — which military kids tend to feel anyway — because of the location of these bases. Connect Savannah: The Harlem Renaissance, simply put, resulted from mass migrations of African Americans from the South to urban centers, chiefly up north. What prompted that migration? Was it just jobs? Aberjhani: It was also a pursuit for more political authority. It wasn’t only African Americans leaving the South — they left from the Caribbean and Africa as well. As far as leaving the South goes, one of the major things that happened is that after leaving the South they were then able to vote more. Here in the South, as you know, they were faced with all kinds of obstacles to voting. Different kinds of poll taxes, different kinds of primary laws — for example, blacks were sometimes barred from voting in the first primary, but voting in the first primary was a precondition of being able to vote in the second primary. And of course all kinds of things occurred in the rural areas. Once African Americans were able to get out of the South and vote, white politicians took notice, and basically recognized black voters as a political force that could influence elections. You saw that particularly in the case of FDR. African Americans gained some sense of power over their own life and destiny. As far as jobs go, there was definitely a move towards more economic power and opportunity, especially around World War I. A lot of interesting things happened. At that time immigrants were not being allowed in, but munitions factories still needed labor. Yet adult white males were being shipped out to fight the war. Labor had to come from someplace. So both the opportunity and the need were there. Connect Savannah: You also point out that during that time the world literally opened up for African Americans. Aberjhani: The Harlem Renaissance marked a time when African Americans were caught up, so to speak, with the travel bug. They were experiencing mobility. This freedom to travel allowed them to go to different places, and one place they went to was Paris. Once there they were able to experience lives without having to constantly refer to a sense of repression. They were being allowed to pursue goals as individuals rather than being defined by race. This showed African Americans that it was possible to live in a different manner than elsewhere, rather than go back to Jim Crow. So the Harlem Renaissance set the foundation in terms of having a choice.